Show off your favourite photo, artwork or logo on a custom compact mirror! Great gift idea for bridesmaids or Mother's Day, too. 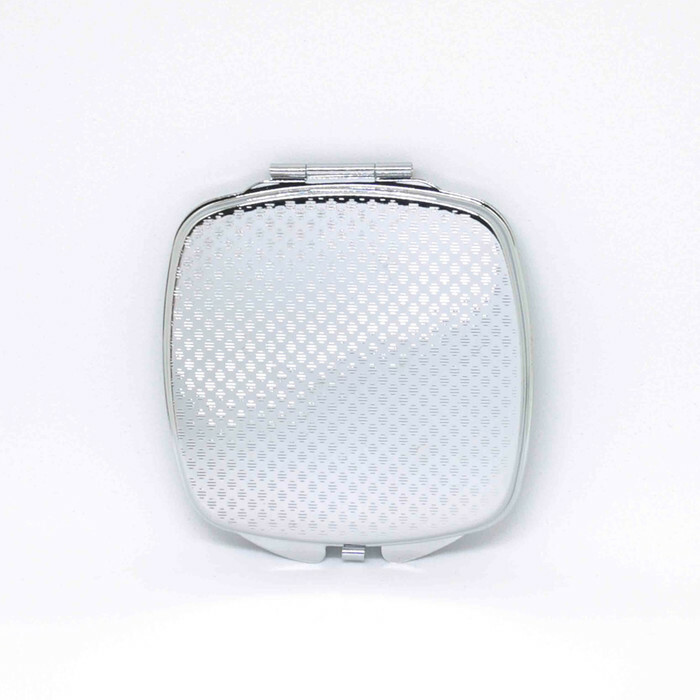 This gorgeous compact mirror features an all-metal construction and two interior glass mirrors. 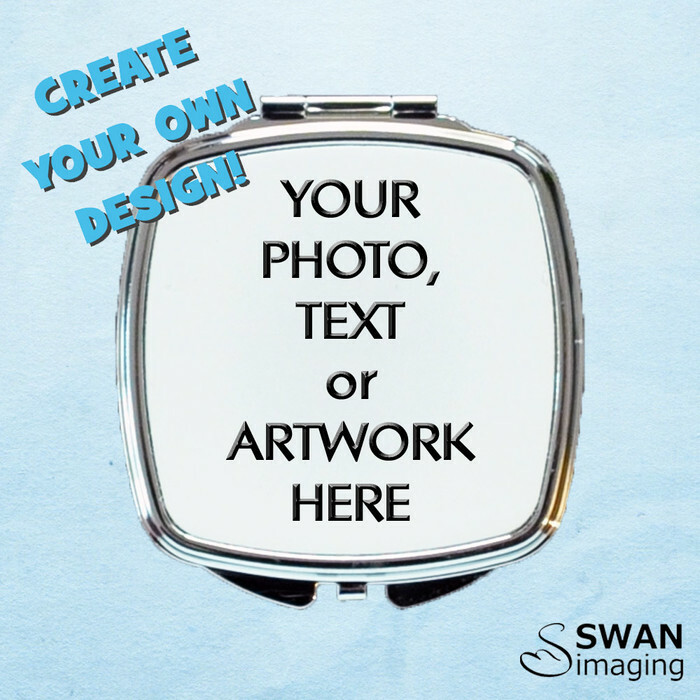 Swan Imaging uses a heat sublimation print process, using quality inks - to ensure a vivid, long-lasting, fade resistant design. The image is heat pressed onto an aluminum insert which has a lovely sparkle/shimmer finish. To order, click on the 'Add to Cart' button. Then message us your photo or image - high resolution jpeg or png files are best - & advise how you would like them positioned on the compact mirror. Text can also be added to your design if you wish. **Please note: Copyrighted & Trademarked images cannot be reproduced (copyrighted material includes Fanart, screenshots from movies, video games & music videos etc) & obscene, offensive, defamatory or discriminatory images will not be accepted for printing. 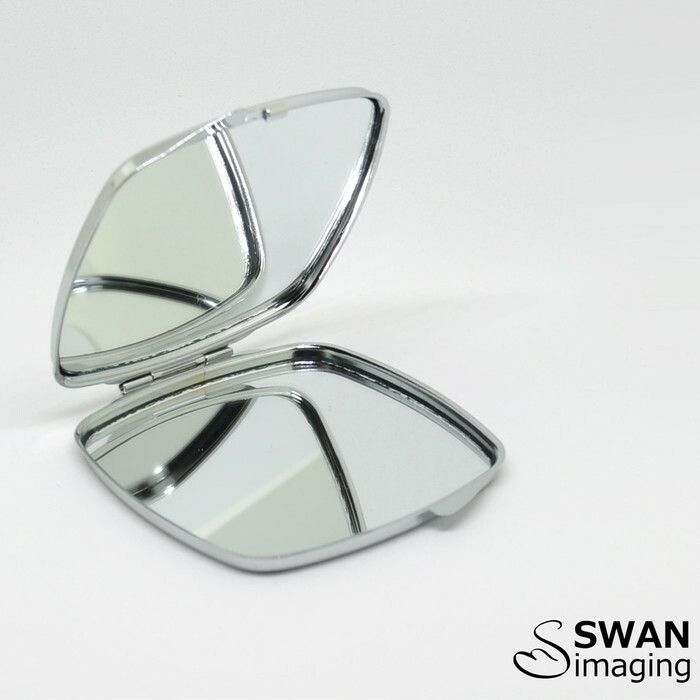 Once the proof has been approved, your compact mirror order will be processed & printed within 1-3 Business days, ready for shipping.